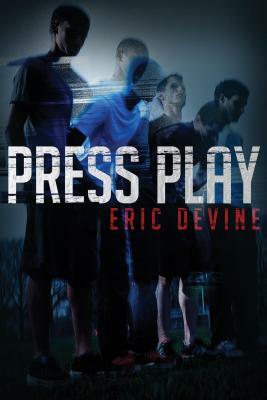 Back in June, I discussed Eric Devine’s young adult novel Press Play, which has since been published in October. It tells the story of a high school student who accidentally captures footage of the violent hazing practices of the lacrosse team while filming his documentary film project. I was impressed by Devine’s idea to create a book trailer — like a movie trailer, but for his book — and display it at the local movie theatre in his home town of Waterford, New York. A film features prominently in the book, and Devine is using the movies to promote it. Devine’s book trailer was played multiple times before the films, inviting viewers to purchase Press Play at the mall bookstore where the cinema is located. I think this is inspired. Thanks Eric — and congrats again on the book and your brilliant marketing campaign! Can’t wait to read it. The Sticky Egg is 5 years old today! Thanks for sticking with me all these years! I am fascinated by the critics’ take on the movie Chef, which is currently 88 percent fresh on RottenTomatoes.com. I found it stale and oh-so-overcooked. I watch a lot of Food Network, so I had high hopes for the film’s ‘recipe’: a chef gets fired after he starts a Twitter war with a restaurant critic, and opens a food truck. Turns out all the conflict that drives the film is in the first 15 minutes. After the chef (Jon Favreau) loses his job, everyone and everything starts working in his favor. Need help setting it up? His former junior cook travels across the country — without pay — to help him get started. That sainted ex-wife even takes orders at one point. Need to reconnect with your kid? The ex-wife — again, the most non-confrontational divorced couple in the history of movies and life, for that matter — lets an 11-year old kid work as a line cook on a food truck for the entire summer. Without checking in. Right. Nothing really happens then, either. Or if it does, they don’t show it. Because conflict might wake you up out of your food coma. I sometimes envy bloggers who have gone the ‘photo a day’ route…especially when I’m tired and finding it difficult to string words together into a pithy theme. But then I look at the really good ones. Let’s face it — even if I grabbed my phone (because I’d be using my cell instead of an expensive camera) — I wouldn’t do the subject justice compared to some of the talented folks posting pics online every day. One of my favs is a former student. You may not be able to see her photos on Facebook unless you’re lucky enough to be her friend, but she has a great eye and sense of humor. My blog, Facebook and Twitter feeds of late have been filled with praise for The Bridges of Madison County, which ended its too-short Broadway run this past Sunday. I was fortunate enough to see the show twice, including its final performance. But for those of you who were not able to attend — and perhaps have smiled indulgently at my near-obsessive behavior — I wanted to give you a taste of the quality performance I enjoyed. I know, I know — I’m late writing anything for the blog today. I’ve had to write a bunch of stuff for work. 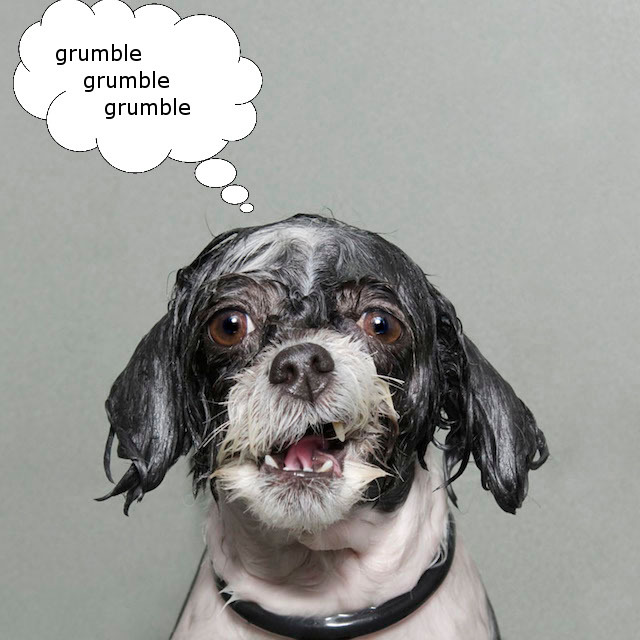 Thanks to photographer Sophie Gamand and pet stylist Ruben Santana for capturing the moment.